Federal Insurance Program That Fights Terrorism to be Allowed to Expire. 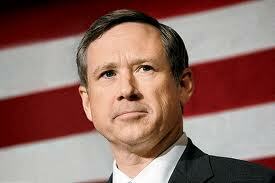 Sen. Mark Kirk supports TRIA. WASHINGTON – U.S. Senator Mark Kirk (R-Ill.) today urged bipartisan support for the reauthorization of the Terrorism Risk Insurance Act (TRIA), which is set to expire at the end of this year. TRIA ensures that businesses can purchase terrorism insurance coverage, which is provided by private insurance companies and not federally funded. TRIA ensures that in the event of a terrorist attack, private insurance companies are able to provide adequate coverage without threatening the stability of our nation’s financial system. If the terrorist event is of such a large scale that the government backstop is triggered, the federal government will step in to provide federal coverage. However, the government can fully recoup any funds paid out for a terrorism event over time, ensuring little-to-no cost to taxpayers. TRIA was enacted in 2002 following the September 11th attacks and has been reauthorized twice in the past 12 years, with each reauthorization providing greater taxpayer protections. Terrorism is not a fully insurable event, due to the unpredictable nature of man-made attacks. Terrorism often aims to cripple the U.S. economic, political and infrastructure systems which is why it is imperative that the federal government remain an integral part of the public-private risk sharing TRIA program to safeguard national security and the nation’s financial security.